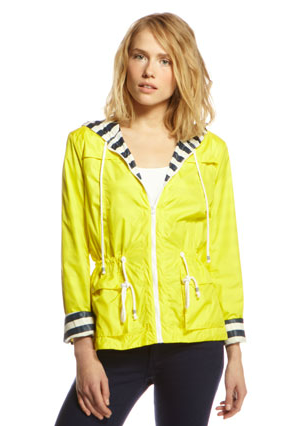 Summer rain is probably one of the few reasons to wear a jacket in DC for the next few months! Brighten up your day when it's pouring out with a cute, yellow slicker - love this one's striped lining! Buy at CUSP for $198.